Managing Director at Newcastle Falcons. Chairman of the Falcons Community Foundation. 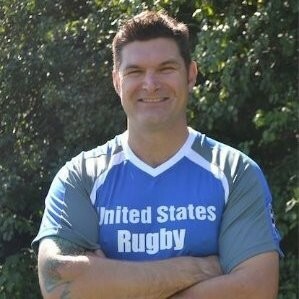 Managing Director of the world's largest Rugby Player, Coach and Support Staff recruitment company, Rah Rah Rugby. Our 8-week online course is a one-of-a-kind experience to learn the inner workings of the professional rugby industry. With the rapid growth in the popularity of Rugby, there has been an increase in tournaments, events, teams, leagues, and business operations worldwide. Rugby is a sport with a high demand for talented and trained business people to help organize, market and lead the sport forward. Take this course to get the what you know, and the who you know to launch your career on the business side of professional rugby! At SMWW we'll teach you the business of rugby and how to develop your rugby career! Led by Mick Hogan, Managing Director at Newcastle Falcons, our 8-week online Rugby Business Management course is the most targeted education you can get for your career with a rugby club or team. Unlike most online classes, we focus our program on live audio chats directly with your course mentor, Newcastle Falcons Managing Director Mick Hogan, which allows you the opportunity to build personal relationships and rapport with these successful leaders in the world of rugby. After completing our Rugby Business Management course, we will help you redesign your resume and CV to highlight your new skills and include that you have been taught first-hand by Mick Hogan. Now that is powerful! This course is your chance to take your career to the next level. The Rugby Business Management Course is a definite for anyone who is involved in Rugby or is looking at pursuing a career in Rugby Administration. The personal attention and weekly chats were great and it created an open forum to compare, debate and analyze the game we love. Having been involved in the industry for a number of years this course gave me the additional boost that I was looking for. The goal of our course is to prepare you for the myriad of jobs going on behind the scenes to market and grow rugby. As rugby grows globally, so do business opportunities within the game. Mick Hogan has been involved in Rugby League & Rugby Union for his entire 22-year career. A graduate of the Sports Studies degree course at Northumbria University he has worked for both governing bodies (Rugby Football League & Rugby Football Union) as well as CEO/Managing Director for top-flight rugby clubs Wigan Warriors, Sale Sharks and Newcastle Falcons. Mick has also set up three charitable rugby foundations as well as serving on the board of Premiership Rugby on two separate occasions. Mick originally started his career as the North East Rugby League Development Officer. After this role, he joined Gateshead Thunder as Community Marketing Manager for their one year in Super League. In 2000 he crossed the River Tyne to join rugby union club Newcastle Falcons as Head of Marketing for two seasons before moving to Premiership Rugby as Head of Community Development. Whilst at Premiership Rugby Mick worked with all twelve Premiership clubs on their community marketing programs and attracted support from Powergen for the inaugural National Community Rugby Programme. He also worked on the first two Premiership Finals at Twickenham as well as personally developing the London Double Header concept – where over 70,000 fans annually attend the season-opening games in London. In 2012 Mick set up his sports consultancy – MMG Sports Ltd. He worked for two and a half years for England 2015, the organizing body for the 2015 Rugby World Cup which will be staged in twelve English cities as well as Cardiff. The work for England 2015 saw Mick head up City Delivery and he managed the process that identified and selected the thirteen host cities for the Tournament. Now back at Newcastle for a third spell Mick is currently Managing Director at Newcastle Falcons as well as Chairman of the Falcons Community Foundation. The club has also acquired Newcastle Thunder Rugby League and will deliver the official Rugby World Cup Fanzone on behalf of the City Council. Dr. Lynn Lashbrook, President, and Founder of SMWW has over forty years of combined experience as an educator, coach, athletic administrator and as a registered agent. Dr. Lashbrook manages the SMWW Agency representing over 200 Agents and hundreds of athletes worldwide. Dr. Lashbrook has hand on experience and active interaction with team Manager's, scouts, major endorsements, first round contracts, salary cap requirements, and all SMWW Sports Agency activities. Because he is still in the industry, his teaching is up-to-the-minute and addresses the issues in professional sports today. Dr. Lashbrook emphasizes integrity and ethics in his curriculum and weekly interactive audio chats. He will personally help you strategize a career path. You will love his motivational style and passion to improve sports management industry. Weekly Audio Chats- A unique aspect of each 8-week course is the opportunity for students to participate in weekly live interactive audio chats with fellow students, Mick Hogan, Dr. Lashbrook and well-known rugby guest speakers. This is a tremendous opportunity to learn from your course facilitators. In addition, the chats will allow you to network within the professional rugby industry and build lasting relationships with your course facilitators and fellow students. If you are unable to attend the chats they are recorded and archived and you can listen to them at a more convenient time. Online Education - This innovative academic course is facilitated through a web-based educational delivery system. You will enjoy the live audio chats in addition to the online discussion boards, weekly readings, weekly quizzes, course project, and the interaction amongst fellow sports business-minded students and faculty. The course content is the foundation of a successful career on the business side of professional rugby! Earn University Credit: Most participants are not university students. Most participants are working full time in a variety of careers including many in sports from all over the world. (Many wish they had taken this course in college!) For those of you who are in college and would like transferable credits to your school, two-three hours of college credit is available. European transfer credits may be available. Click Here For More Information. Sports Career Conferences - Throughout the year, Sports Management Worldwide hosts Sports Career Conferences at a variety of sporting events. These are fabulous networking events that put SMWW Alumni in the heart of the action. Opportunities to network with executives at all levels of sport are facilitated. Visit SMWW Sports Career Conferences to learn more. Successful graduates of Sports Management Worldwide's Rugby Business Management course will be sent an SMWW Certificate of Accomplishment. This certificate represents not only your achievements in the course but also demonstrates your personal commitment to self-improvement and ability to self-train yourself for higher positions within the sports business industry. In addition to your certificate, you will be given the stamp of approval by SMWW. This approval includes a personal reference you may add to your resume with contact information for Dr. Lynn Lashbrook and a reference to the mentors of this course including Mick Hogan. At SMWW, we’ll teach you the skills you need to thrive AND help you redesign your resume for optimal impact in the sports industry. We’ll help you craft a resume to highlight your new skills in Rugby Business Management, include a reference from Mick Hogan and Dr. Lashbrook, while optimizing it to reach hiring managers searching online. I chose to get up at 2am my time to participate in the live audio chats because they were so informative and I didn’t want to miss anything! This course is a huge advantage when it comes time to me moving my club forward. There is a lot of useful information when it comes to marketing. I definitely feel I now have an advantage to those who only play the sport. It's a great tool for making contacts and connections to advance my career to the next level.